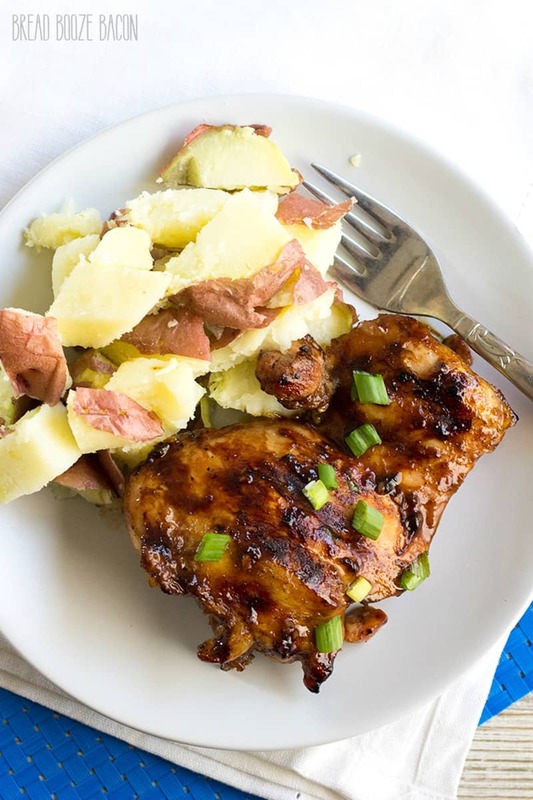 Huli Huli Chicken is a Hawaiian favorite! 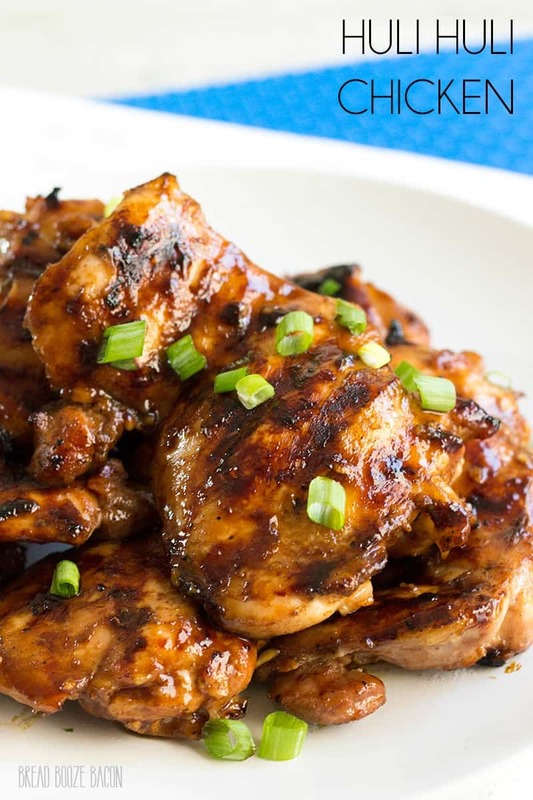 This marinated grilled chicken is SO delicious and made with a few kitchens staples! I’m going to level with you guys, before making this recipe I had no idea what Huli Huli Chicken was. I’d seen other bloggers post their recipes and always thought it looked good, but what the heck is it? Turns out this chicken is a Hawaiian dish created back in the 1950’s. “Huli” is the Hawaiian word for turn and the chicken was originally grilled on a spit. The sauce is along the lines of a teriyaki sauce, but definitely its own thing. This recipe became so popular on the islands that it’s served everywhere…most popularly as a fundraiser for different charities. Who needs a bake sale when you can have a Huli Huli Chicken sale!? So what’s up with this chicken. It’s pretty darn good, that’s what. Most recipes use chicken thighs, which I’m totally down with for a low-budget dinner. But I’ve also seen whole spatchcock chickens used. If you’re not into the dark meat you could substitute thin-cut chicken breasts too, but I like the dark meat/fat combo for this recipe. Now, this is a dish you need to premeditate. This chicken needs to marinate for at least 3 to 4 hours before cooking. However, you can pop it in the fridge to soak up those flavors for up to 8 hours. Talk about easy dinner options! Through everything in the bag, go to work, and when you come home you’re ready to grill. 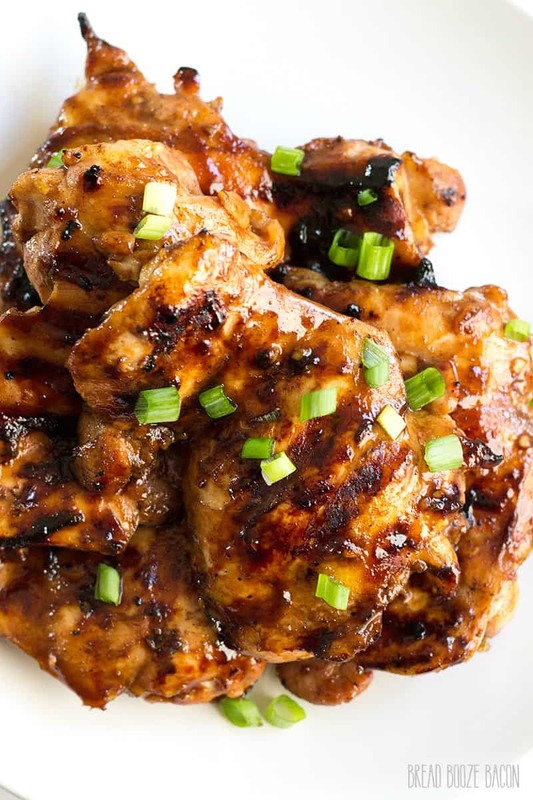 Or even better, marinade overnight and take the bag of chicken with you for a tailgating grill out everyone loves! No matter where you eat it, Huli Huli Chicken is going to become a regular in your dinner rotation. It’s really good served along side some Hawaiian Fried Rice. Just sayin’. Place the chicken thighs in a gallon-sized Ziploc bag. In a medium mixing bowl, whisk together the pineapple juice, soy sauce, ketchup, brown sugar, chicken broth, garlic, ginger, and mustard until combined. Pour ¾ of the sauce into the bag with the chicken. Cover and reserve the remaining sauce in the fridge. Close the Ziploc bag, being sure to remove excess air, and refrigerate for 3 to 4 hours (up to 8 hours). Preheat your grill. Once hot, oil the grates. Remove the chicken from the marinade and place on the hot grill. Cook for 3 minutes per side. Once both sides have been grilled, start basting the chicken with the reserved sauce. Continue to turn the chicken every 1-2 minutes, basting with each turn, until the chicken is no longer pink and the internal temperature is 165 degrees F (about 4 to 5 more minutes total). Remove the chicken to a serving platter. Sprinkle green onion over the chicken and serve immediately.